I used to joke that fall in Atlanta lasts all winter long. That was back when it snowed (or iced) once every five years or so. Things have been different over the past few years, as we’ve had much more actual winter weather – albeit not nearly as harsh as those places in the U.S. that have a real winter. On most of my rides this winter, I’ve had the chance to try some clothing that is a great option for those of you still facing the end of your “real” winter weather, and the still biting early spring to come. Here are a few mini-reviews of some of that gear. This wind vest has been my MVP (most valuable product) this winter. For whatever reason, the wind has been a force to be reckoned with on almost every ride. It’s as if Mother Nature lost track of the seasons and jumped ahead to unleash the typical spring winds on us. The upshot is, already cold days were made even more biting by the stiff wind. And as much as some thermal jerseys and jackets are good at providing a baseline of warmth, they typically do little to protect from the wind. 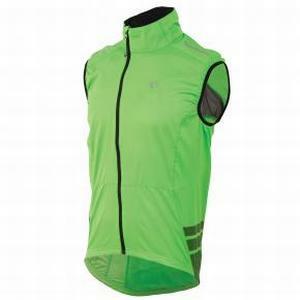 Enter this mighty 90g vest, Pearl Izumi’s mid-level offering. It’s semi-form fit, so it’s fairly snug and stays in place. And the elasticized hem and armholes do well to help keep it from flapping in the breeze, though the armholes could be a bit smaller and more snug. It also features a large hook-and-loop closure pocket so you don’t have to unzip the vest to get at whatever you’re carrying. RELATED ARTICLE What Should I Do After a Minor Crash? 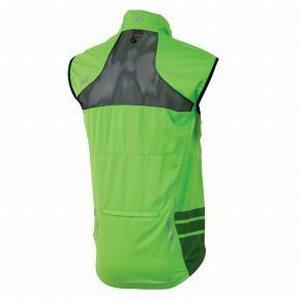 If the wind is already howling when I leave for a ride, I simply slip the vest on over my thermal top layer on cold days. On those cool days when you can just barely get by with a base layer, regular jersey and arm warmers, the vest seals the deal, enabling you to ride without adding another, thicker layer. And because it’s so light and packable, I’ve gotten accustomed to carrying it along for a little “just in case” protection for when the wind picks up, or when a few rain drops start to fall. It’s likely to remain on my back, or in my pocket, throughout spring as well. Fits like a glove. Cuts through the wind. Locks in the warmth. 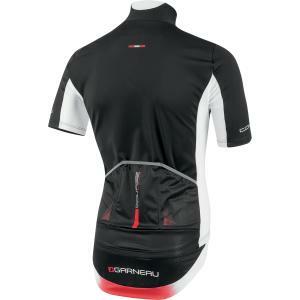 I saw a precursor of this jersey at Interbike last fall, and was eager to try it out. Representing a new wave of more “weather resistant” short-sleeve jerseys, the Course was actually designed by Polartec for Garneau. The material is a technical mélange that features Polartec’s Power Shield Pro to help block 99% of the wind, Heatmaxx to retain body heat, and Super Lite Dry as a water repellent. The Polartec material looks and feels almost like a thin softshell. RELATED ARTICLE How Should I Resume Training After a Crash? This jersey is a wonder. 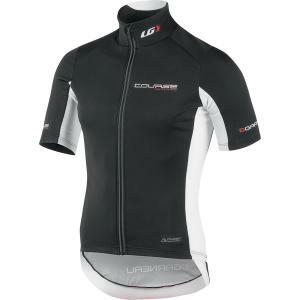 It’s great for chilly, windy days and functions like a thermal jersey and wind vest combined. I’ve worn it on days I would otherwise wear a regular jersey, arm warmers and wind vest in combination (and was able to skip the arm warmers, as it kept my core toasty warm). And I’ve also worn it on days that started cool and ended warm; its breathability allows for a very decent temperature range while remaining comfortable. I’m of the genus of cyclists who prefers wearing bib knickers vs. knee warmers to cover my knees on “just cool enough to need something” rides. I also prefer knickers to full-length tights on cold rides when overall leg warmth is an issue. So I have a mix of “knicks” to do the job. I guess what it comes down to is, I like the comfort and simplicity of knickers and “3/4” tights. To me, if I can get the job done with one garment instead of two, so much the better. And I find knickers more comfortable and easier to put on (and take off) than both knee or leg warmers and full-length tights (which either have an extra ankle zipper to deal with or are a struggle to pull over the ankle if they don’t). ample “stretchability”) and P.R.O. 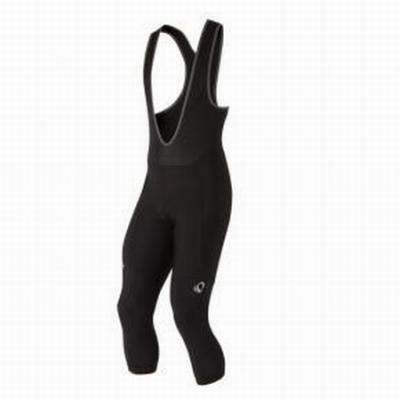 Anatomic 1:1 chamois provide ample warmth and a completely comfortable fit. 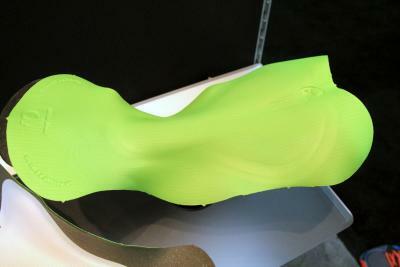 The chamois is smooth and seamless, with nothing to rub against the skin, and features multi-density padding underneath that soft exterior to provide support where needed (see photo). I’ve taken to mating these tights on cool to cold rides with socks of different thickness and length to perfectly match the conditions. If it’s downright cold, I might go with calf-length woolies, leaving just an inch or two of skin exposed. If it’s more moderate but still quite chilly, I’ll go with above-the-ankle merinos. The constant is the tights, which deliver across a broad temperature range. As with the other gear I’ve used extensively this winter, I see more rides in these tights into the spring as the winter seems reluctant to let go of the hold it’s had on so many of us.